It’s the beginning of the New Year, which means resolutions are in full swing. But if resolutions aren’t really your thing, maybe you should think about how you can revamp your style in 2016, especially your diamond ring setting style. 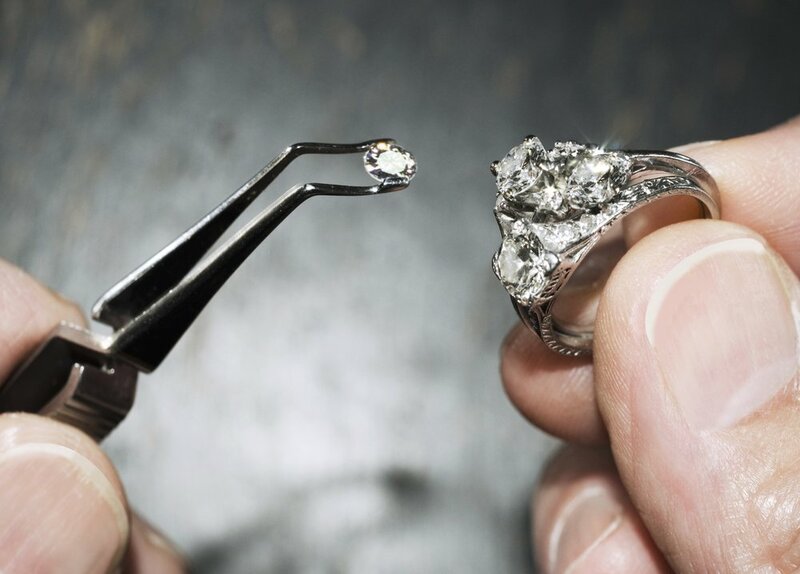 Whether you’re looking for new ring for that special occasion, or picking the perfect setting for a loose diamond you already own, here are some new trends to watch in diamond ring settings this year. Think about the band. You can get a simple, plain band, but you should know about all of the other options there are for designing your band. Square Bands – To add a fresh, modern touch to your ring, make the band square shaped. It’s a nice, subtle way to make your ring a little less traditional and a little more 2016. But it’s not just for stylistic reasons that the square shaped band has become such a trend, it is also for comfort. The round corners of the square shape allow for your finger to have breathing room without the fear of your ring being too loose or falling off. Comfort and style? That’s a killer combination for 2016. Bows – We’re not talking about the Minnie Mouse kind of bows, but rather more sophisticated bows that add a girlish whim to the ring. Made exceedingly popular by Chanel, the bow designs have taken on a life of their own. It’s ornate, feminine, and fun. Floral Accents – Take some inspiration from nature in designing your wedding band by using floral or vine like detailing. The exotic twists and turns are more alluring than a simple straight band and give the ring a romantic complexity. This works especially well with a single accent stone to provide depth to an otherwise simple look. Split Shanks Bands – These bands are extremely popular for their geometric and airy look. With a split shank band, the diamond looks as if it is being supported by a bridge of tiny diamonds. It’s gorgeous, sturdy, and great for larger sized diamonds. Colored Diamonds – The easiest way to set your ring apart from the rest is to go bold with the diamond color, or go for a colorful sapphire. Before you commit to this however, make sure you are certain you want a ring that is so daring and different from the norm. Gemstone center stones are becoming popular alternatives for personalizing bridal jewelry. Colorful Accent Stones – If you’re not keen to make your center accent stone a different color, try spicing up a diamond ring with colored accent stones in the band. Sapphires and emeralds are beautiful alongside a diamond, or for a more personal touch, accent your diamond with your birthstone set alongside side it. If diamond rings went to high school, rings with round cut, oval cut, and princess cut settings, would be the popular girls, while rings set with pear shaped and marquise cut diamonds would be the geeky library girls that are way underrated. But not in 2016! This year, pear and marquise shaped diamonds are the new thing! These shapes are narrow and pointed and work especially well with short fingers to provide an impression of length. Mixed Metal Halos – It used to be a faux-pas to wear silver with gold or gold with rose gold, but thankfully that is no longer the case. These days, mixing metals creates an edgier look. Rose Gold – You don’t see many rose gold rings around, but that will change in 2016. Rose gold is one of the best options for those who feel bored by gold or silver. Because there is so much focus on the actual diamonds, many people forget that the setting of the ring is also very important and provides even more of an opportunity for you to exhibit and embrace your own personal style. So go out there and try some of these fresh trends in 2016!